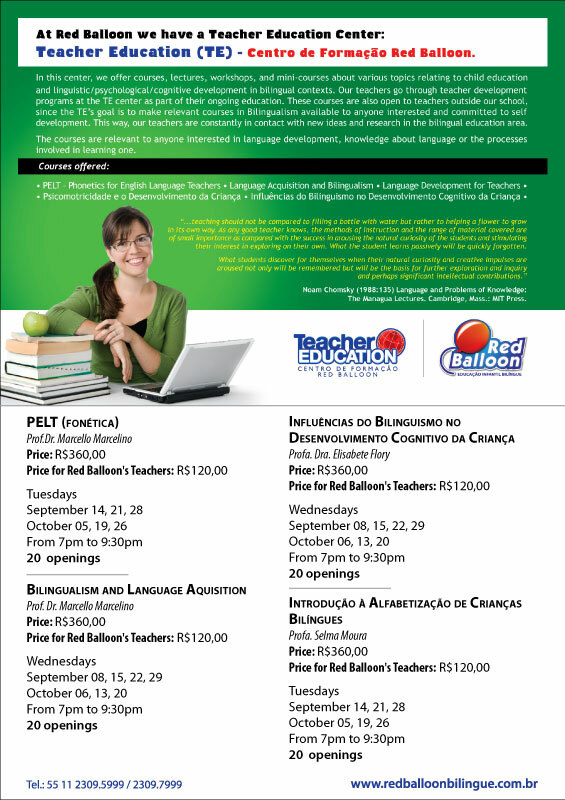 Hi, I´d like to know if you have any online course on bilingualism. Hello, Carla. So far we haven’t had any online course on bilingualism. Perhaps this would be an idea to consider. Anyway, stay tuned to get information about courses, events and news.